The origin of Gorr the God Butcher is revealed. His family died trusting in gods that couldn't be bothered to help. So Gorr has devised his own plan with the help of time travel. He created a godbomb to annihilate every god who ever has and ever will live across all time in an instant. 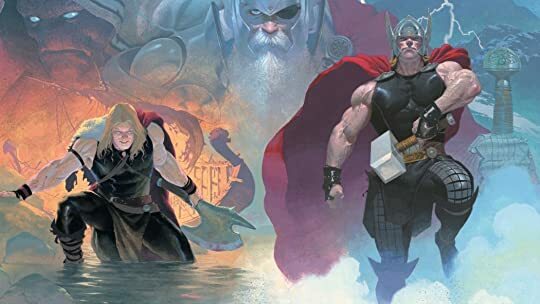 The only thing left standing in his way are three Thors from different time periods. 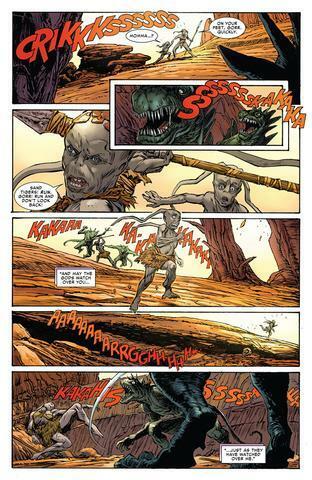 Godbomb was a good conclusion to the tale of Gorr the God Butcher. 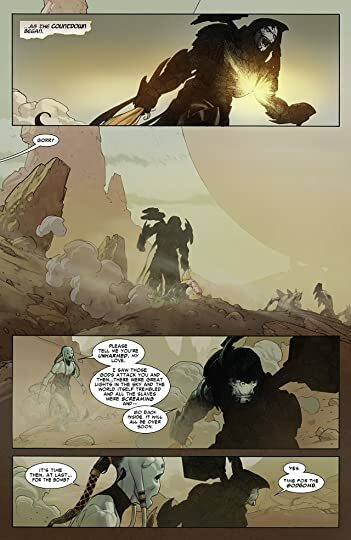 It's easy to see why Gorr turned out to be the way he was and how he grew to despise all the gods. He's truly sympathetic because all he sought was help and what he got in return was seeing his entire family including his children die in front of him. 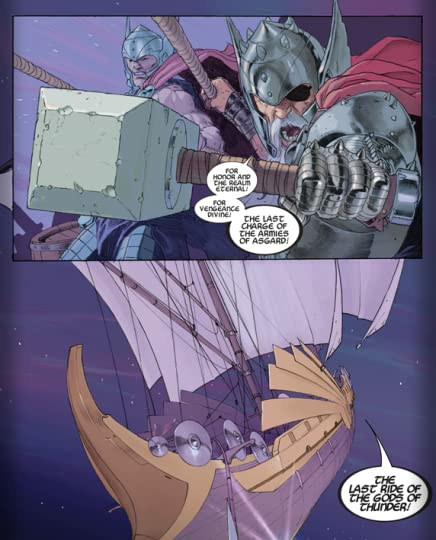 The three Thors were interesting. 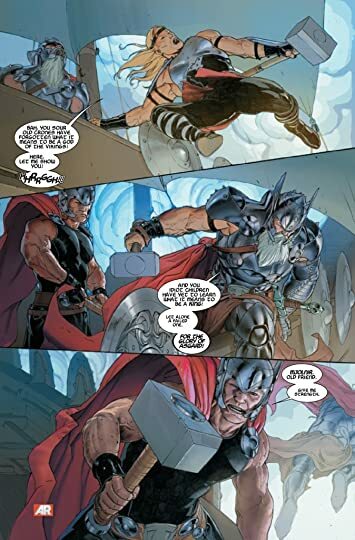 I really wanted to see more of the All-Father Thor because he's the character who has been seen the least among the three. Godbomb had some solid writing and I definitely enjoyed it.